The young man was only 32 when he died. He’d been born in San Francisco and lived in Oakland, Hong Kong, and elsewhere, but his family chose to have him buried in Seattle, where he’d attended school and worked for Ruby Chow as a waiter. His pallbearers included Steve McQueen, James Coburn, George Lazenby, and Chuck Norris. The young man was, of course, Bruce Lee. 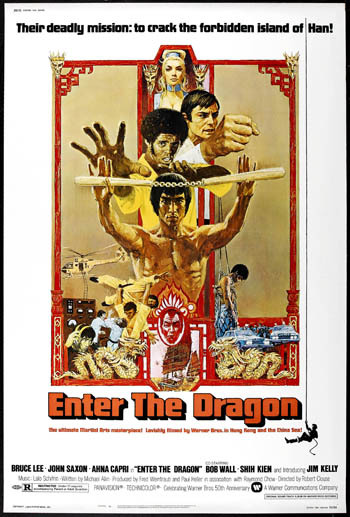 1973’s “Enter The Dragon,” the capstone to his handful of martial arts films, recently came out in a new Blu-ray edition from Warner Home Video. “Enter The Dragon” had an American director, Robert Clouse, who was actually so deaf that he needed assistants to verify that his actors had correctly spoken their lines. This might explain why, except for a short, intriguing philosophical scene in which Lee confers with his master, you can follow Dragon’s plot without dialogue or subtitles. Shih Kien as the evil Han, is out to co-opt or kill all other martial arts masters. Lee, Jim Kelly (who died last June), and John Saxon (the film’s sole living male lead) must get to the bottom of his fiendish plot, or die trying. Lee used stunt doubles (including a young Jackie Chan) for some scenes, and his famous leap into a tree was actually accomplished by running the film backwards. But he stands out, head, torso, and legs, in the film’s most famous set pieces, including a masterful display with nunchakau. When he fights his way through every one of Han’s thugs to reach the master himself, the grand finale — played out in a museum, then a hall of mirrors — still reflects his eternal charisma, now with a better picture than ever. Hayao Miyazaki’s anime “My Neighbor Totoro” dates from 1988, and like “Enter The Dragon,” is available in a new Blu-ray edition, from Disney. It begins with two tropes close to the master animator’s heart: A sick parent, and a move to someplace new. In this case, the sick mother is Yasuko (voiced in Japanese by Sumi Shimamoto, in English by Lea Salonga), and her two concerned daughters, Satsuki and Mei (Noriko Hidaka and Chika Sakamoto/Dakota Fanning and Elle Fanning) move into an old house in the countryside, to be closer to their mother while she recovers. Their father, Tatsuo (Shigesato Itoi/Tim Daly) tries to acclimate his daughters to their new place, but has a lot of work of his own to do. The two girls soon find their own distractions; they’re being haunted. Benignly, and eventually, even lovingly. But spirits abound. 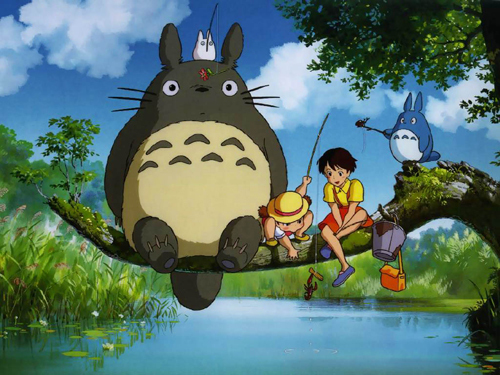 The biggest spirit is Totoro, a vaguely catlike creature, the size of an industrial refrigerator, who communicates (thanks to Hitoshi Takagi and Frank Welker) in theatrical grumbles and sighs. He is the keeper of the forest, along with various other creatures of various sizes, and the day comes when he must rescue at least one of the girls. Miyazaki’s lush landscapes looked fine enough in previous video transfers, but Blu-ray adds detail and vividness of color. Against all this rich context, the two girls, with their playfulness, stubbornness, and occasional bouts of the blues, seem all the more natural. And nature, another over-arching Miyazaki concern, forms the fundamental frequency of the film. 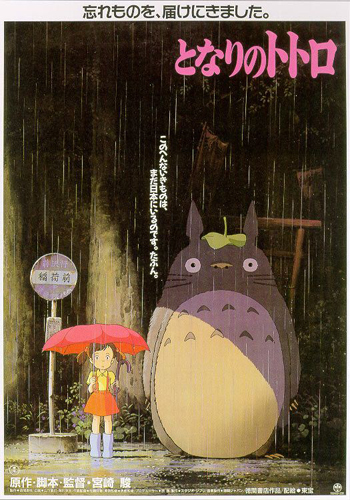 The girls learn to become absorbed into their surroundings, to manifest, and enrich, the ecosystem Totoro watches over. “Enter The Dragon” and “My Neighbor Totoro” were released on Blu-ray in May and June 2013 and are available from various retailers.